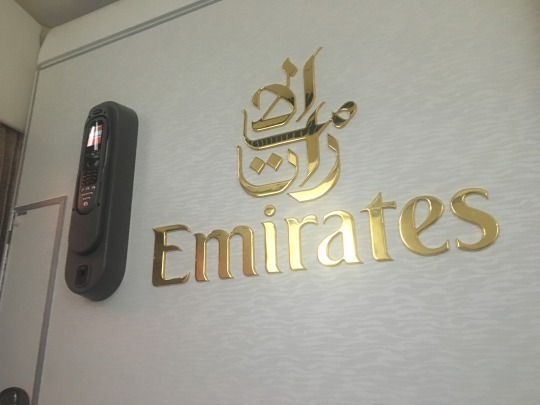 On June 22nd, I flew for the first time with Emirates. This is something I was so excited about as I had heard such good things. Mike has flown with them about 16 times and he always says what an amazing experience it is! I had flown with with Virgin Atlantic when I flew to New York so I had already experienced flying on an Airbus. Arriving at my gate at London Gatwick, I was able to see the plane. 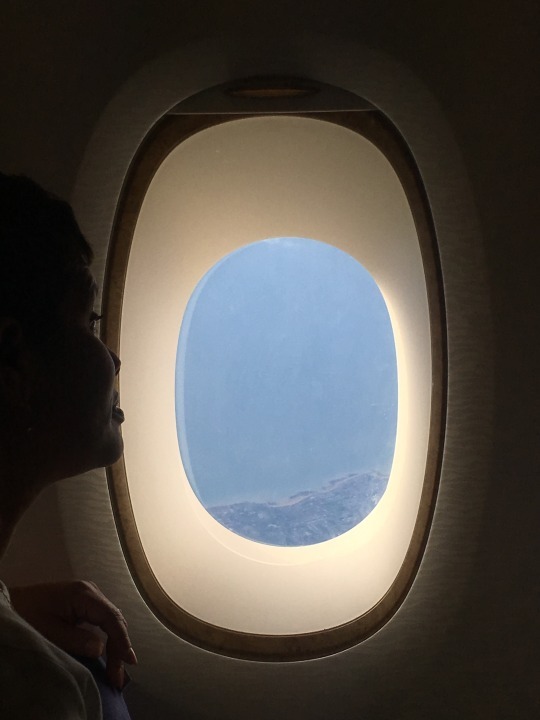 As a nervous flyer, I calm down by looking out the window. However, I could not believe the size of the Airbus A380 I was about to board. With a capacity for over 800 passengers, this was no Ryanair like I was used to. Walking onto the economy class, I was mesmerised by the interior and how much room each passenger was allocated! The windows were so big with a faux wood effect around them. Each passenger was given a blanket, a pillow and headphones. The first thing I do on a long haul flight is flick through the film selection. Virgin’s ICE Entertainment features did not disappoint! So much choice, I think over 500 features! I knew I was going to be comfortable on this 14 hour journey! The toilets on board were spacious and offered hand cream and eau de toilette which I’m guilty of using several all times! It smelt so nice! The one thing I was really disappointed with was the fact I was unable to get a vegetarian meal on board. I booked my flights through STA travel, and I was not informed that I would need to pre book this. When asking the cabin crew if it was possible, they told me that I should of had the option when I booked but unfortunately this was not the case. I did appreciate the fact that the cabin crew tried their hardest to cater for me and were able to supply me with a salad roll. 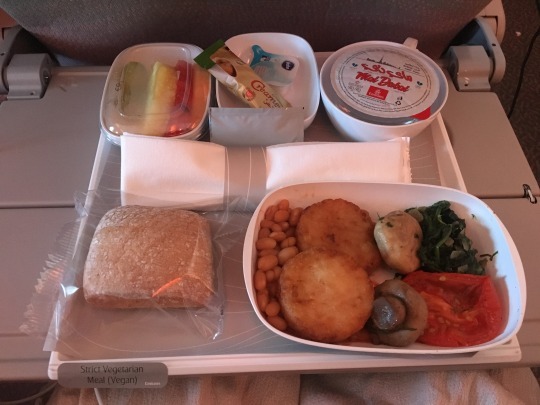 I can review that the food on my second flight was incredible. 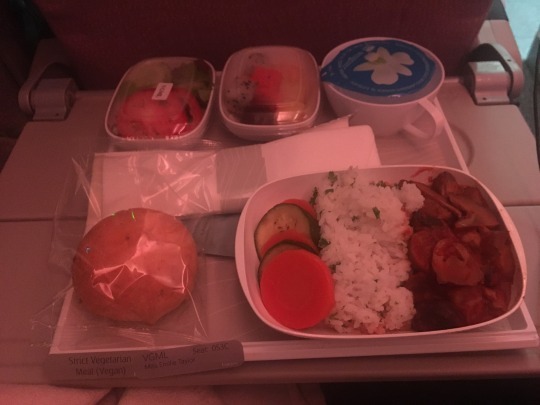 I was always slightly weary of plane food, but I enjoyed an amazing mushroom curry with rice, salad, fruit, a bread roll and some water. I was also able to enjoy as many complimentary drinks as possible. (lots of wine, always). The breakfast also – soooo good. Hash browns, YES PLEASE! I was really impressed with the ethnic range of the staff on board my flight. With over 15 different languages spoken – they really did cater for everyone! Overall I was completely taken back by my Emirates experience. You completely forget that you’re tens of thousands of feet in the sky. 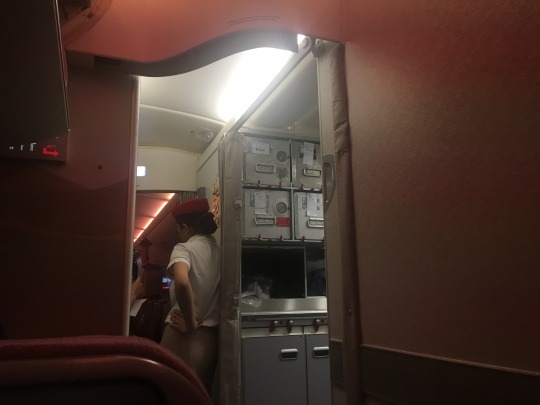 It was a luxury experience with polite classy cabin crew that really wanted you to be as comfortable as possible. I cannot wait to fly with Emirates again – especially now I have my Skyrewards miles underway! In just a couple of flights time – I’ll be able to experience first class!